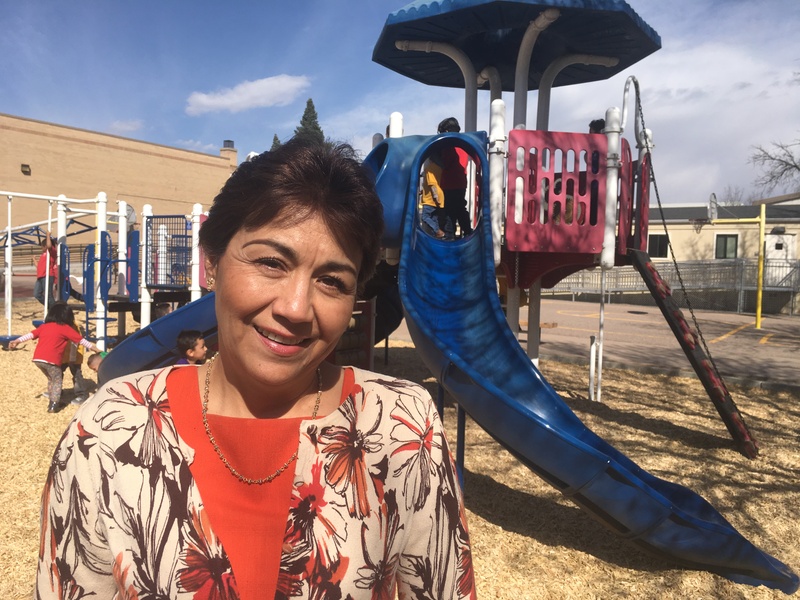 Silvia Curiel-Torres has been an educator for 39 years – but she started rehearsing for the role long before she ever started teaching professionally. The childhood neighbors of a pint-sized Silvia did not know it, but they were to become her first students. Even at the tender age of seven, Silvia knew she had found her life’s ambition. Those first neighborhood students instilled in Silvia a love for educating – and they unwittingly provided her with a first glimpse into what would become her future career. Now a Peer Observer after many years in the classroom, Silvia spends her time helping other teachers refine and perfect their teaching skills. Although she loves the observer role, she said she still misses working directly with students. Today Silvia helps teachers break through their own cocoons as they strive to improve and enhance their classroom skills. Traveling from school to school each day, Silvia has learned how to identify the needs of teachers, as well as how to adapt her improvement suggestions to different teaching styles and approaches. Silvia’s own style has been shaped her whole life by family, a love of nature and a passion for traveling. The mother of three and grandmother of five, Silvia says her family is her “pride and joy,” and she takes any opportunity she can get to boast about her good fortune. In addition enjoying her family and her role as a mother and grandmother, Silvia enjoys the bounty that Mother Nature has provided to Coloradans – and she takes advantage of the scenic opportunities any chance she can get. In her work as a Peer Observer, Silvia gains great satisfaction when she is able to help a fellow teacher reach a goal, improve a skill or discover a new way to reach a student. She brought that same passion to her classroom teaching for many years, as well as the science skills she learned studying dentistry. After Silvia finished her career as a teacher, she wanted to explore the science field and decided to study dentistry and became a dentist. At one point in her life, Silvia worked as both a teacher and a dentist at the same time. Sylvia brought that passion to her classroom teaching for many years – and is particularly proud of her work with a group of Spanish-speaking biology and earth science students earlier in her career. Her rules for the students strictly followed the science fair guidelines, and Silvia was adamant that everyone adhere to the basic tenets of scientific research, including properly documenting all work and following the scientific method to complete their projects. Some students balked and resisted, she said, but parents were pleased by the strict rules – and the students eventually succumbed to Silvia’s demands (primarily because they had no choice). In the end, Silvia’s students prevailed and exceeded all expectations. In both the sixth and seventh grade competitions, students from Silvia’s classes were awarded first, second and third place ribbons. It was an achievement Silvia will never forget and one of her proudest moments as a teacher.